Isabgol is a natural product which is a common household item found in almost every home in India. 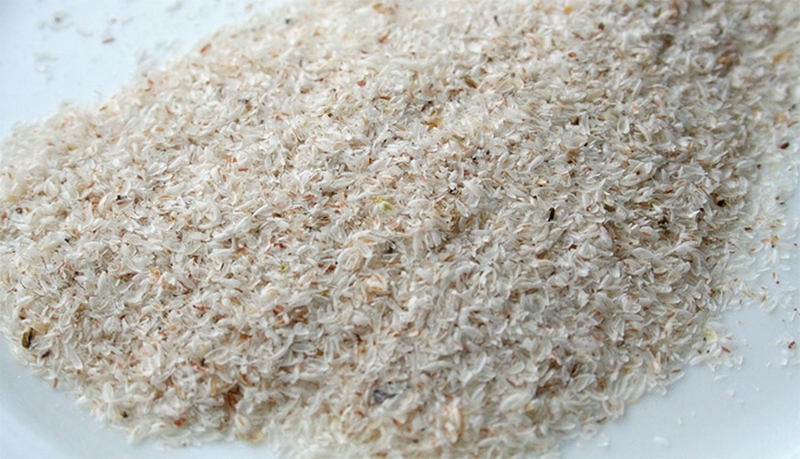 Its biological name is Psyllium husk and is widely used as a health supplement for various gastrointestinal problems including constipation and other digestive and non-digestive ailments. The name isabgol may sound a bit peculiar, but there are many additional benefits that make isabgol a wonderful and healthy supplement that can be used on daily basis. Isabgol is commonly used in India and other countries to relive constipation and other gastrointestinal motility issues. Isabgol provides quick relief by acting as an effective mixture of fiber (that is insoluble and spreads throughout the stomach) to bind digestive contents. Additionally, fiber molecules present in the Isabgol are capable of attracting and binding water molecules (due to its hygroscopic nature), in order to facilitate the gut motility and digestive functioning. How to take: Take a glass of warm milk, add isabgol (2 tablespoons), mix and drink at night before bedtime. Yes, it may sound hard to believe but isabgol is the only home remedy that can relieve constipation while controlling hyper-motility of gastrointestinal tract (or diarrhea). Isabgol consumed alone or with other gut-repairing foods like yogurt can help in improving the texture and bulk of stool, in order to effectively relieve diarrhea or other motility disorders. Probiotics-rich yogurt provides the stomach with appropriate amount of gut-healing microbial agents to heal the infection, while isabgol helps in relieving the diarrhea by adding more bulk/ fiber to the runny stools (in order to harden it). How to take: Take fresh curd (3 tablespoons), add isabgol (2 tablespoons) and mix. Eat it after lunch or dinner. For effective results, make sure to consume yogurt-isabgol mixture at least twice every day. The burning sensation that is hallmark of hyperacidity in stomach can also be relieved by isabgol. The husk of isabgol provides a coating layer to the stomach lining cells which helps to protect the delicate tissue from the direct hazardous effects of stomach acid. Not only this, but isabgol also provides the at-risk individuals with several other benefits such as remarkable improvement in the overall process of digestion, substantial decrease in the release/secretion of stomach acid, reduction in the overall intensity and severity of hyperacidity episodes. How to take: Consume cold milk (half glass) with adding 2 tablespoons of isabgol. Mix and drink after the meals. Benefits of isabgol also include weight loss. You can easily achieve your weight loss goals by increasing the use of isabgol. Isabgol exerts its actions by effectively reducing the craving for unhealthy foods via satisfying your satiety and appetite. It additionally flushes out the wastes from your stomach and gastrointestinal tract by improving the gut motility; therefore it is also known as “colon cleanser”. Last but not the least, it also helps in improving the overall rate of basal metabolism by stimulating detoxification. How to take: Take warm water, add lemon and isabgol and drink before having your meal. Due to its hygroscopic properties, isabgol can also be used to absorb the excessive cholesterol present in your body in order to cleanse the stomach from unnecessary toxins and cholesterol breakdown products. Isabgol contains fair amount of fiber that restricts the body from absorbing extra fats and oils from the food, thus reducing the risk of heart diseases. How to take: Take it with water just after your meals. Use of isabgol promotes digestion, so it can be very helpful for individuals who complaints of frequent episodes of indigestion. The fiber content of isabgol allows easy digestion by facilitating the movement of food across the intestines. How to take: You should take isabgol after every meal with buttermilk to control the indigestion and related issues. Isabgol is richly supplied with the powerful gelatin molecules that restrict the dietary glucose from getting readily absorbed in the body after a heavy meal. Needless to say that gelatinous texture and bulk forming properties of isabgol helps in controlling the blood sugar levels in diabetics. How to take: Take isabgol with water just after completing your meal. As mentioned previously, isabgol provides ease in the bowel movements due to its laxative qualities and high fiber content. It helps in softening the stool, thereby making it easier to get defecated from the body without any straining. How to take: Take isabgol with a glass of warm water every night before bedtime. Although isabgol is natural and safe with very low potential of causing any harm or discomfort to the body; in some selective cases, there may be a few side effects with unregulated use. These include cramping in stomach, for which you should immediately stop taking it and visit your doctor (especially if you have a medical history of gut motility issues or if you are manifesting sign and symptoms of appendicitis). Speak to a nutritionist or a healthcare professional to learn how much you should consume and its dosage/dosing frequency. Speak to your doctor if you are suffering from serious gut motility issues. To avoid choking, make sure to take it with any liquid. Server responsed at: 04/20/2019 11 p.m.